The 2018 Chevrolet Camaro ZL1 1LE went around the ‘Ring faster than any Ferrari. The new, not-just-a-muscle-car lapped Germany’s Nurburgring Nordschleife in 7:16:04 in the hands of a Chevrolet test driver, making it the 14th fastest production car at the 12.9-mile-long circuit. Ferrari doesn’t do official laps at the benchmark track, but a 488 GTB run by a German automotive publication did it in 7:21, while the last Corvette to visit, a 2012 ZR1, set a time of 7:19.63. The Camaro’s mark is within spitting distance of such notable track rats as the Porsche 911 GT3 and Dodge Viper ACR. The ZL1 1LE is the hottest Camaro of all time. It features a 650 hp supercharged V8, an adjustable suspension with racing-style spool valve dampers and an aerodynamic package that includes a giant wing on the back to create downforce, even if the photos of the run include one of it with all four tires off the ground. Fret not too much, Corvette fans. 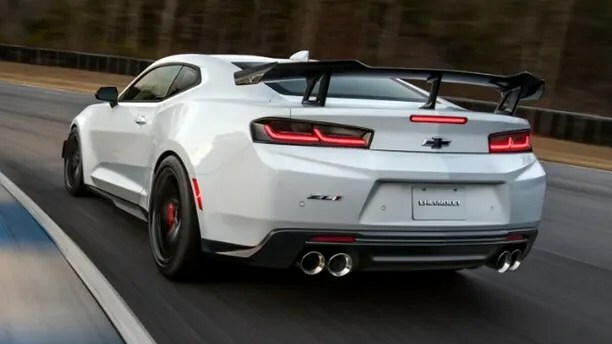 While the Camaro currently holds the GM bragging rights, a new ultra high-performance version of the Corvette is on the way and a prototype of it has been spotted undergoing testing at the ‘Ring, so it’ll surely be taking the title back soon.